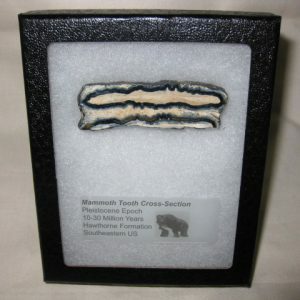 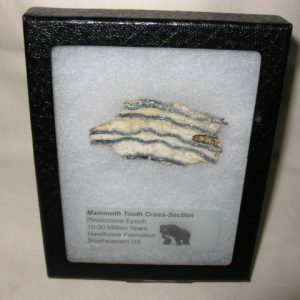 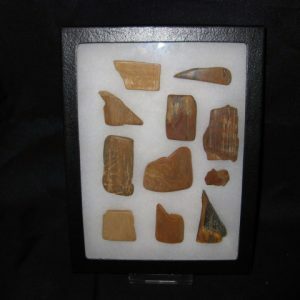 View cart “Woolly Mammoth Small Tooth Cross-Section 20” has been added to your cart. 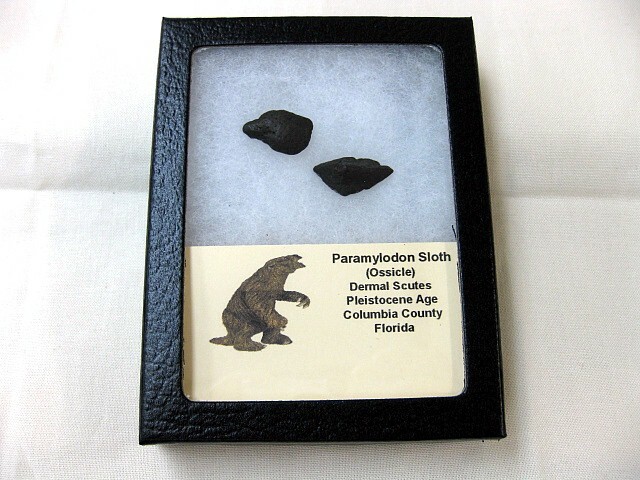 Paramylodon is an extinct genus of ground sloth of the family Mylodontidae endemic to North America during the Pliocene through Pleistocene epochs, living from around ~4.9 Mya–11,000 years ago. 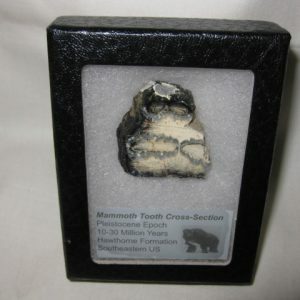 It is also known as Harlan’s ground sloth. 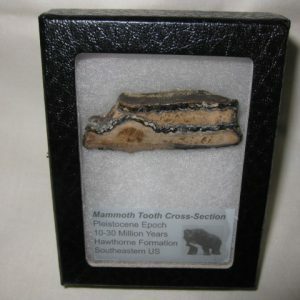 Paramylodon measured about 3 m (9.8 ft) in length and weighed as much as 1,000–1,089 kg. 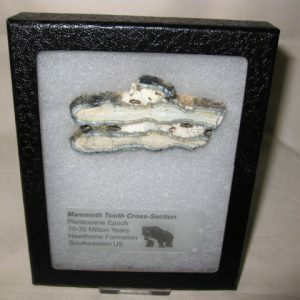 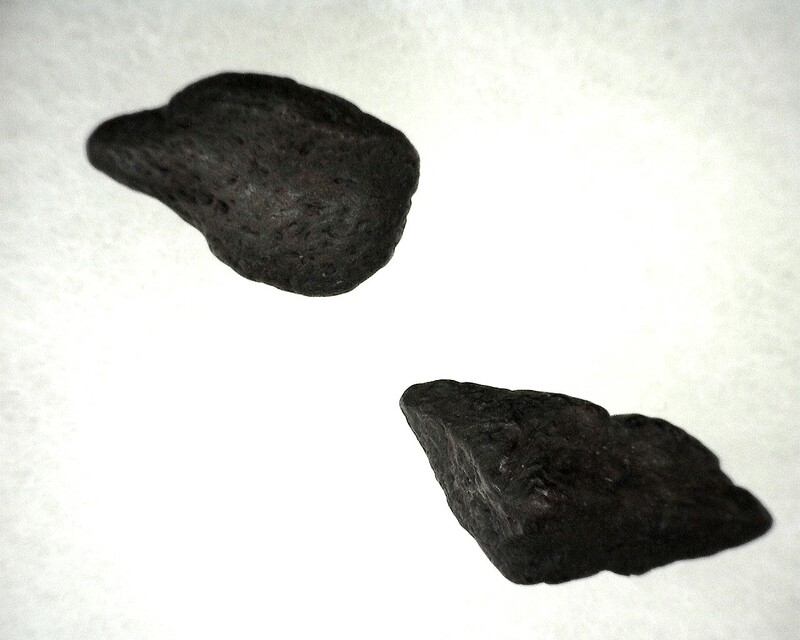 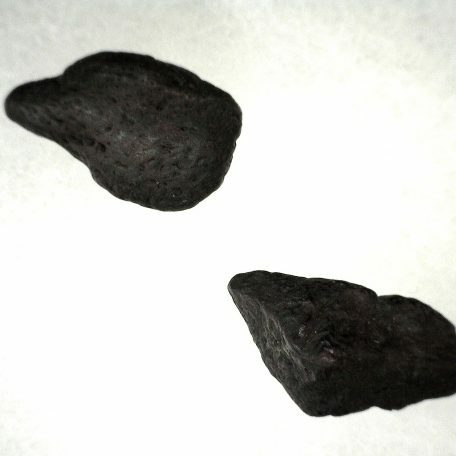 It is known from North America deposits, including in Mexico and the United States and as far south as Guatemala, and often mistaken as Glossotherium. 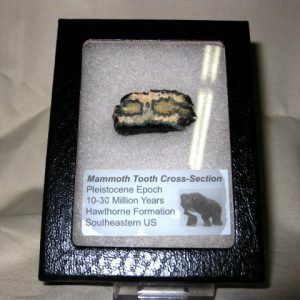 Currently there is just one recognized species, P. harlani, (Owen) 1840, which is commonly referred to as Harlan’s ground sloth in honor of American paleontologist Dr. Richard Harlan, who first discovered and described a lower jaw in 1835. 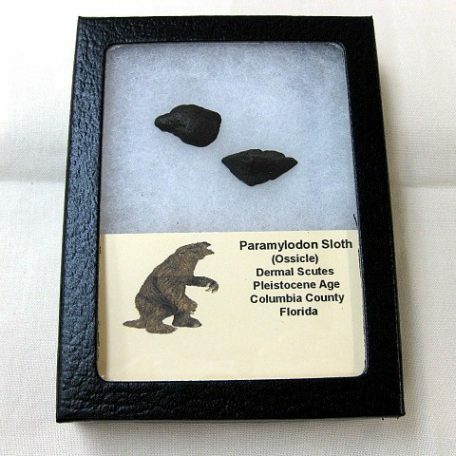 Paramylodon exhibits the interesting characteristic of having had dermal ossicles, small bones embedded in the skin, presumably adding a degree of protection to the animal. 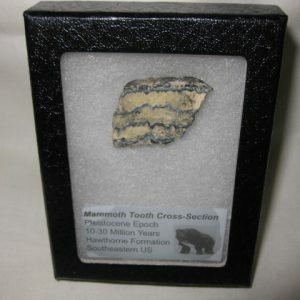 This characteristic is also shared by the South American Mylodon.